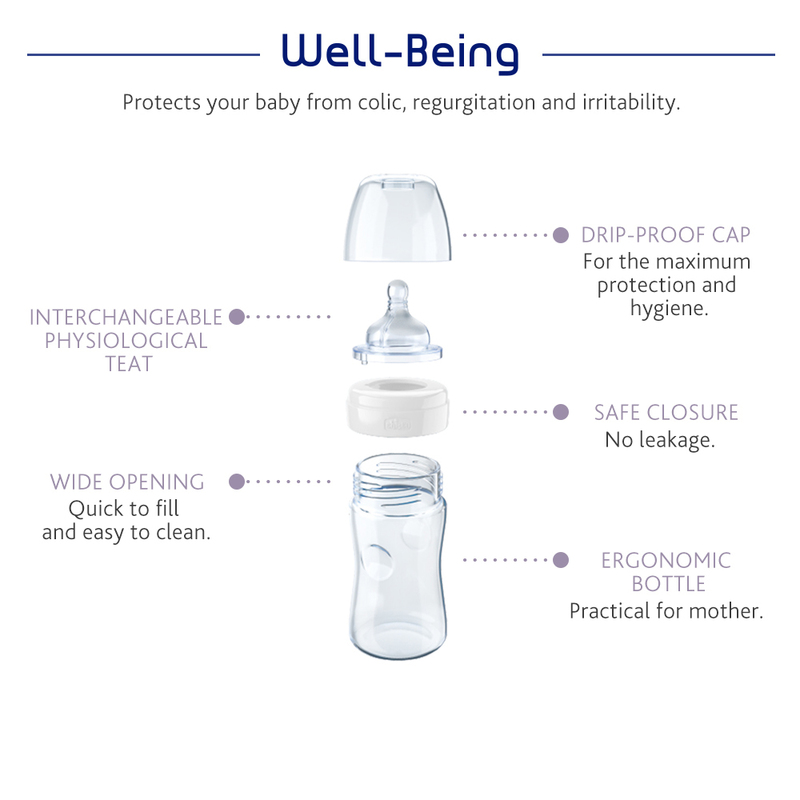 The special feature of the well-being feeding bottle is the Physiological Teat, which allows you to effectively stimulate the physiology of the maternal breast. 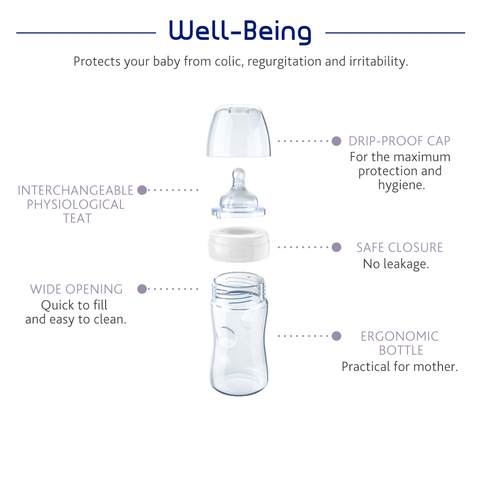 - The Nature Glass Well Being bottle is dedicated to ECO-FRIENDLY mums who conduct a lifestyle which is as ecological and close to nature as possible. 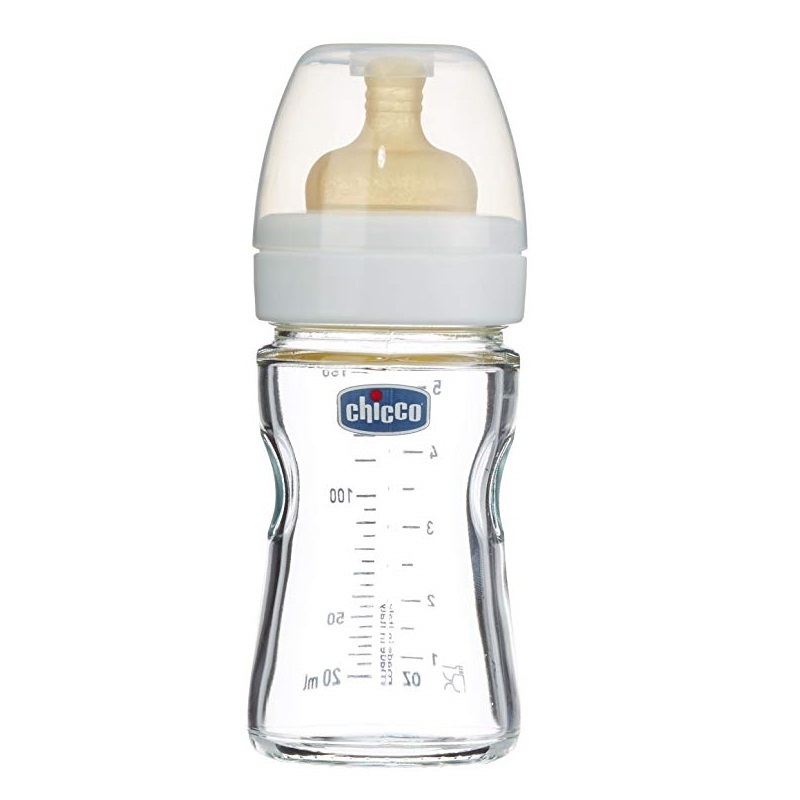 Glass is an ecological and recyclable material, and this special HEAT RESISTANCE glass keeps the milks at the right temperature for longer, whilst guaranteeing MAXIMUM HYGIENE, so ideal for young babies and infants. 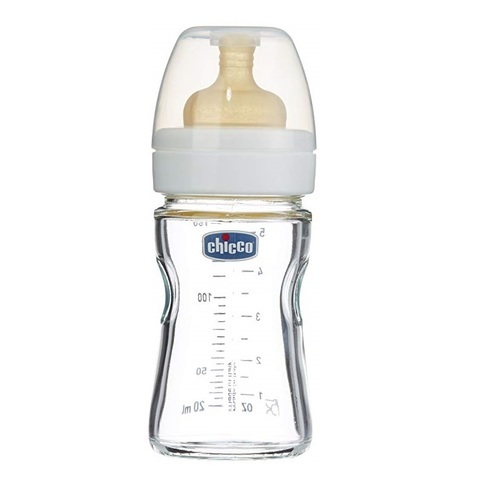 It also protects your baby from colic, regurgitation and irritability.